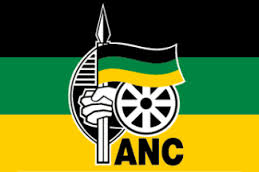 The African National Congress has noted with concern the decision of the public service unions to withdraw from the collective bargaining process in relation to the public service wage negotiations. This unfortunate impasse, which has arisen as a result of differences around the implementation of a 6.4% instead of the initially agreed 7% salary increase, is regrettable and we hope shall not unduly prolong the reaching of a mutually agreeable agreement. The ANC encourages parties to the dispute to identify and accelerate measures which will lead to a speedy return to the negotiation table. Deepening the National Democratic Revolution and accelerating service delivery demands a stable, strong and capable developmental state able to play its transformative and developmental role. What is a “National Democratic Revolution”? Let’s move away from revolution and struggle and build our country together so that we can all thrive. unity is strength.